Somebody give this man a permanent OC job...geeze!! Yes please!! And let it be John Elway. Wow, I like that guy! I don’t get the young coordinator talk. He is 46.... yes it’s younger than Fangio but is that young? 46? Just wondering - if Scangarello is hired as OC - is there a chance the Broncos will trade for Nick Mullens? No matter who we find at OC, getting Munchak as an OL coach is nothing but a strong hire. He's a huge reason behind PIT's perennial stability at OL. Good news on landing Munchak and on getting SF to agree to allow us to interview Scangarello. I’m still not wild about Vic and his “death by inches” crap but at least he will help with the defense and be. HUGE upgrade over Woods. Now it’s looking like we will hopefully be able to assemble a halfway decent offensive staff. Anything's possible but keep in mind that players coming off ACL surgery now return to play within 10-12 months but don’t have full explosion back until 18 months. So having a serviceable backup is a priority. Same reason why PHI didn’t trade Foles. SF's willingness to trade a QB seems unlikely for 2019 even with Garapollo's return, not until he's back to truly full health. And while they have CJ Beathard there as well, he's shown absolutely nothing even as a fill-in. Obviously if a team makes a crazy offer SF could reconsider. But that would be a mistake IMO. We made Mullens look great (and so did OAK in his debut) but he showed his limits in the other games. We did just an awful job of scouting / game prep that game. Kittle in single coverage all 1H. SMH. Outside of the OAK-DEN games he really was JAG. His @SEA / SF numbers look shiny but most of that was in the 2H of @SEA already down 28-3 and the 4Q vs. LA down 48-17. Think Keenum @ NYJ stat-wise vs. real-life performance. Mullens is more valuable as a cheap backup to SF at min wage (CJ Beathard really looks like he’s going to wash out even as backup material). If someone overpaid for Mullens, they’d certainly consider it. But given his skill profile I’d pass unless it was a crazy low price (5th+) - but then there's no real reason for SF to bite, at least not for 2019. This off-season is getting better. Fangio as HC, no Kubiak or Dennison (thank goodness), and now getting Munchak as OL coach. Still need a DC...the folks in the Bears forum seemed to like Donotel getting the nod before the Pagano signing. What’s so great about Fangio as HC? Please illuminate me. I’m not saying he’s going to be Vance/Mac but some in Broncos Country are talking like we just hit a homerun. Honest observers around the league without a horse in the race have said it’s a very “meh” hire, not a strikeout but certainly not a homerun either. 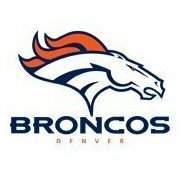 And, just as a reminder, all 3 Super Bowls this team has won have come with Kubiak and Dennison as part of the coaching staffs. Vic is the DC in all but name only. They’ll hire a perfunctory DC but it really doesn’t matter. And Donatell is an experienced coach so he being on the staff isn’t a negative. And, he will know what Fangio wants. Which is why he has to be the hire at DC, no?